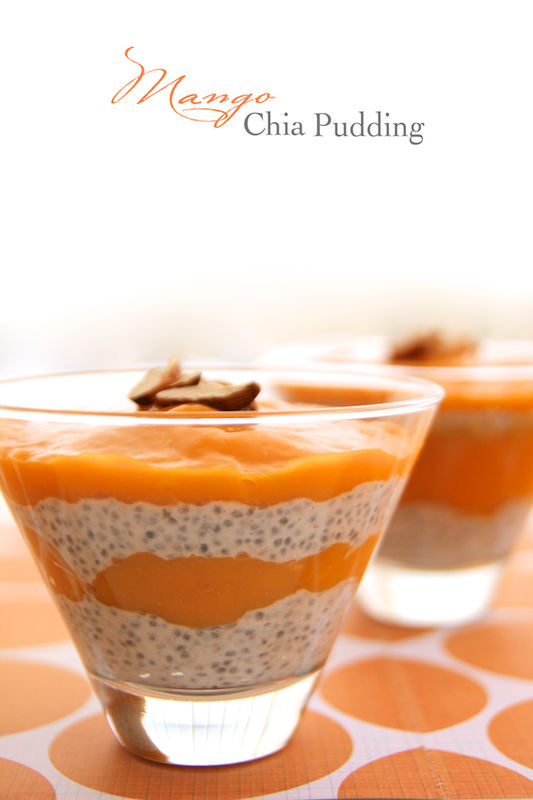 A few weeks ago, I discovered the wonderfulness that is chia pudding and it has now become my favourite go-to breakfast. Creamy and rich, it reminds me of tapioca but better and tastier. I love waking up to this as you make it the night before and in the morning, it's ready to go. 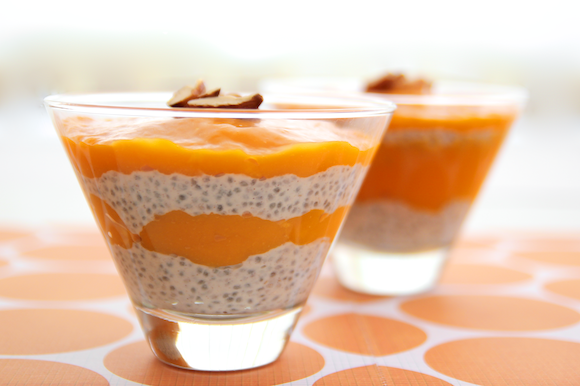 It's a super healthy start to the day and the chia seeds keeps you feeling full. 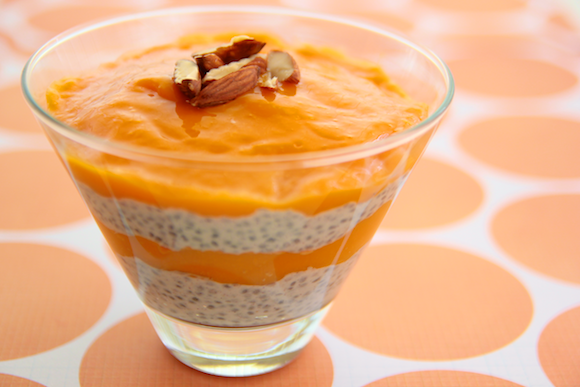 I usually like to mix up my chia pudding with various fruits and toppings depending on what I have on hand; however, with mangoes in full summer swing, I knew I had to incorporate my favourite fruit into this yummy meal. Layers of silky mango cream intertwining with the luscious pudding create a sweet and delightful treat. 1. In a medium airtight container, combine the almond milk, Greek yogurt, vanilla, maple syrup, cinnamon and salt. Whisk to combine. 2. Whisk in the chia seeds. 3. Cover and refrigerate overnight or for at least 8 hours. 4. 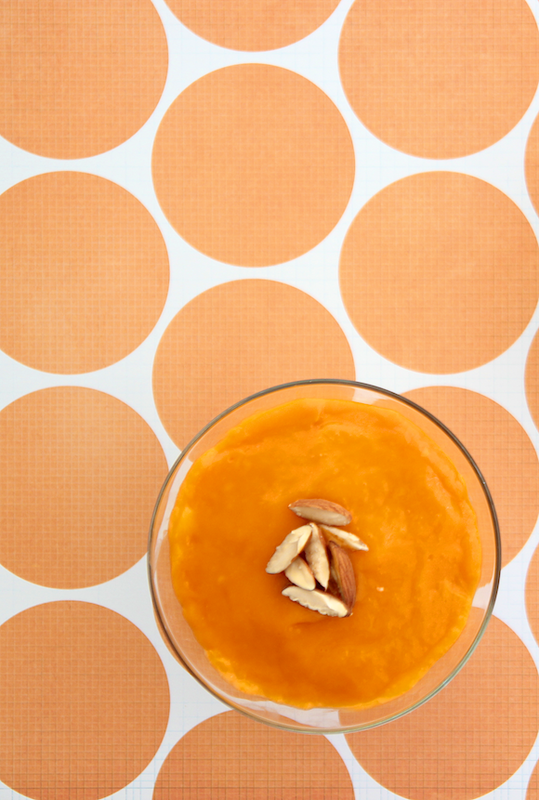 The next day, slice mangoes and scoop the flesh into a food processor or blender. Blend to a smooth consistency. 5. In a glass, spoon a layer of pudding, then a layer of mango cream and alternate until the glass is filled. 6. Top with silvered almonds or any other nuts. Any leftovers can be kept in the fridge.